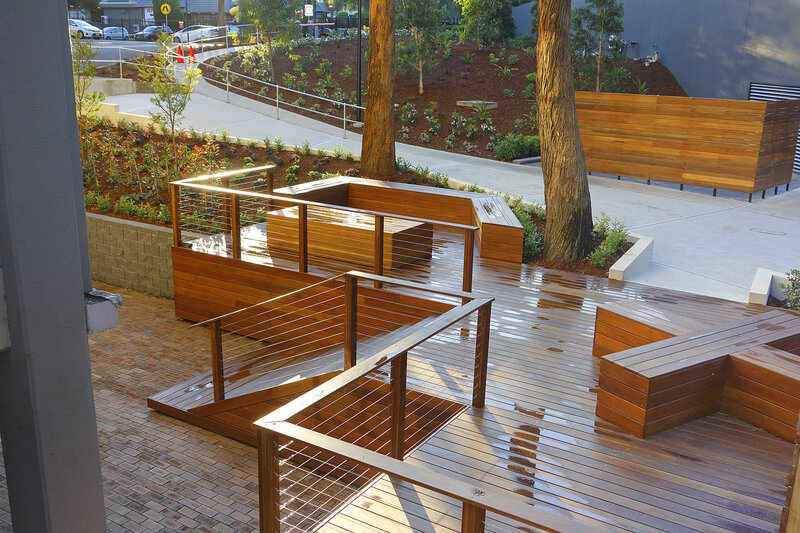 Fresh Landscapes worked with Probuild on the Shore Discovery Point Project in Wolli Creek. 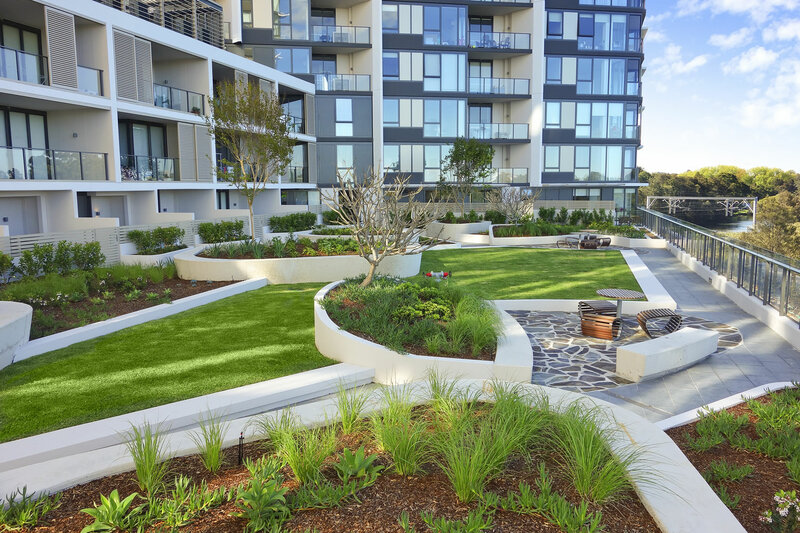 Shore Discovery Point represents a further contribution to the development of Wolli Creek. 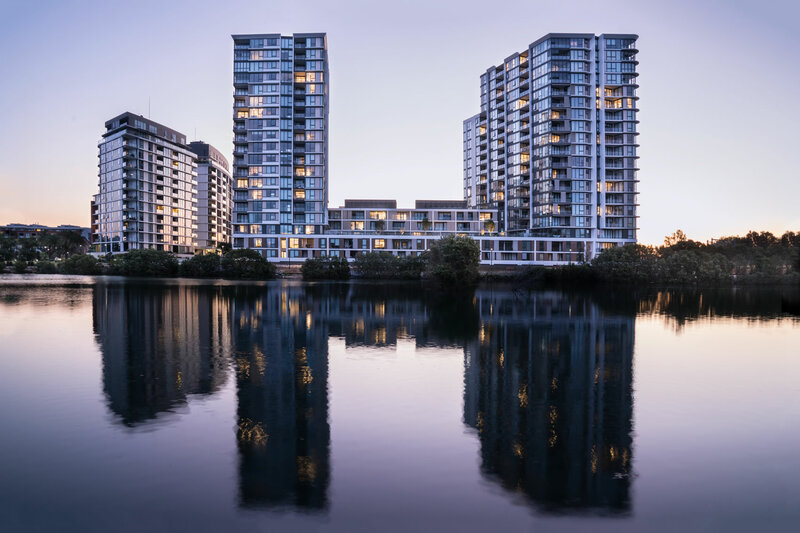 The residential apartment block consists of 323 on the beautiful Cooks River. 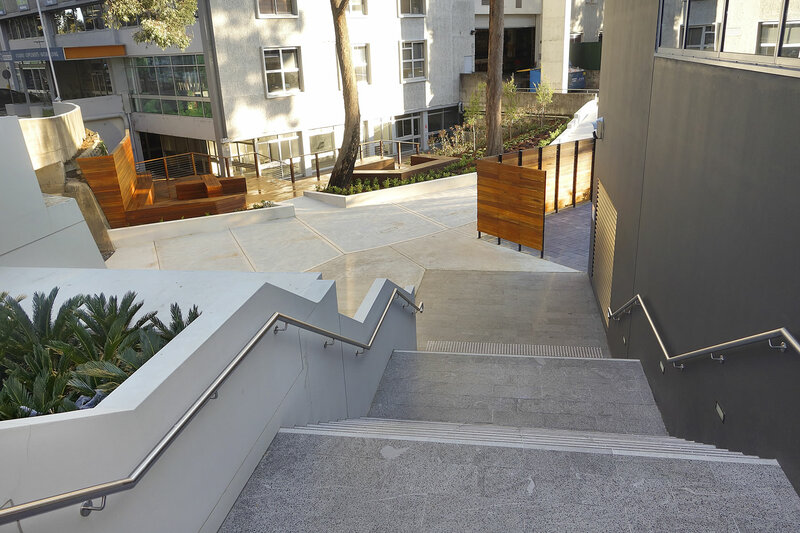 We completed 2 roof top gardens one on each tower as well as the podium level where the 2 towers join to a communal open space. 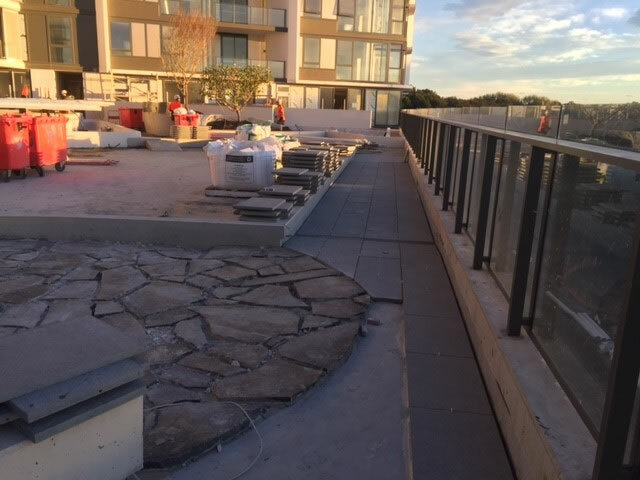 Fresh installed over 10,680 of different plant varieties, laying of pavers, turf and installation of planter boxes, 2 large trees craned onto the roof tops to be placed in the raised planter as a feature tree. Fresh Landscapes also built a riparian zone, bio-retention area. Fresh Landscapes also installed a salt marsh area into Cooks River. Fresh Landscapes worked 10 – 12 hours a day for 2 weeks with a crew of 8 people to get this project over the line for Probuild. 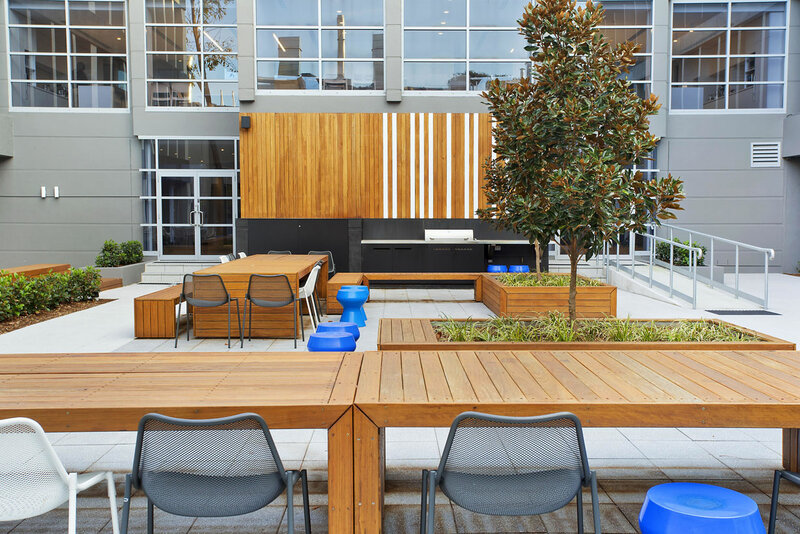 It was a great project for Fresh to be a part of and are grateful that we were able to get this project completed on time, on budget and looks fantastic. Another great job from the guys at Fresh Landscapes, we could not have got the job done without our fantastic landscape construction team.